The Shia Central Waqf Board has impleaded itself as a party in the Ayodhya case by submitting a 30-page affidavit to the Supreme Court on August 8. UTTAR PRADESH Shia Central Waqf Board Chairman Wasim Rizvi on Tuesday said he will soon meet VHP leaders and sants to prepare a proposal for a peaceful settlement of the Babri Masjid-Ram Janmabhoomi dispute through talks before December 6 — the day Babri Masjid was demolished in 1992. Rizvi said that he will hold meetings with VHP leaders, Ram Nambhomi Nyas, Nirmohi Akhara, Hanuman Garhi and other sants to discuss the proposal, which will be submitted in the Supreme Court. Last month, Rizvi had met Art of Living founder Sri Sri Ravi Shankar in Bangalore and apprised him of the board’s stand that it does not want a mosque constructed at the disputed site. While a Ram temple should be built at the disputed site, a masjid should be constructed elsewhere in a Muslim-populated area, he had said. Rizvi said that Shia Central Waqf Board was a party in the two suits related to the dispute and in that capacity, the board will prepare the draft proposal. “We are trying to finalise a draft settlement before December 6… we will submit the same in the Supreme Court. Let the court take a decision on it,” he added, while claiming that the Shia Waqf Board decided to take this initiative as the Sunni Waqf Board was not taking any interest in the matter. The Shia Central Waqf Board has impleaded itself as a party in the Ayodhya case by submitting a 30-page affidavit to the Supreme Court on August 8. 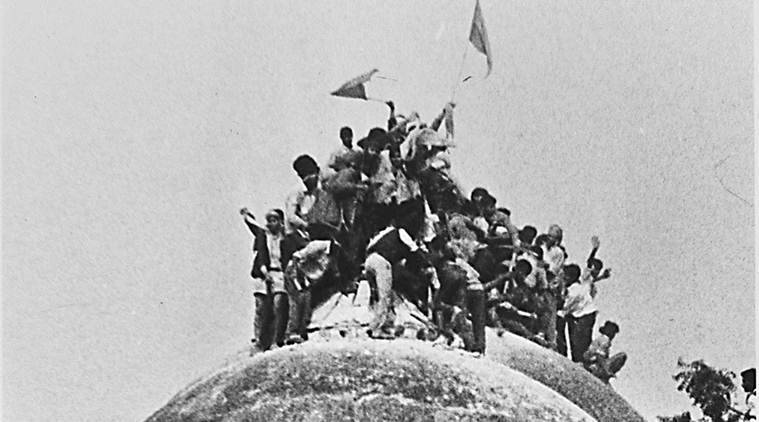 It has staked claim to the Babri mosque, maintaining that it was a Shia mosque. “Rizvi had met Ram Janmabhoomi Nyas head Nritya Gopal Das a few days ago. Das had clearly said that only Ram temple should be built at the site,” said VHP spokesperson in Ayodhya, Sharad Sharma. Senior VHP leader Ram Vilas Vedanti, who was associated with the Ram temple movement, said that if the Shia Waqf Board comes up with any proposal, the sants could consider the same. “Whether they support it or not, that will depend on the content of the proposal. But the board has not discussed anything yet with the sants,” he added.